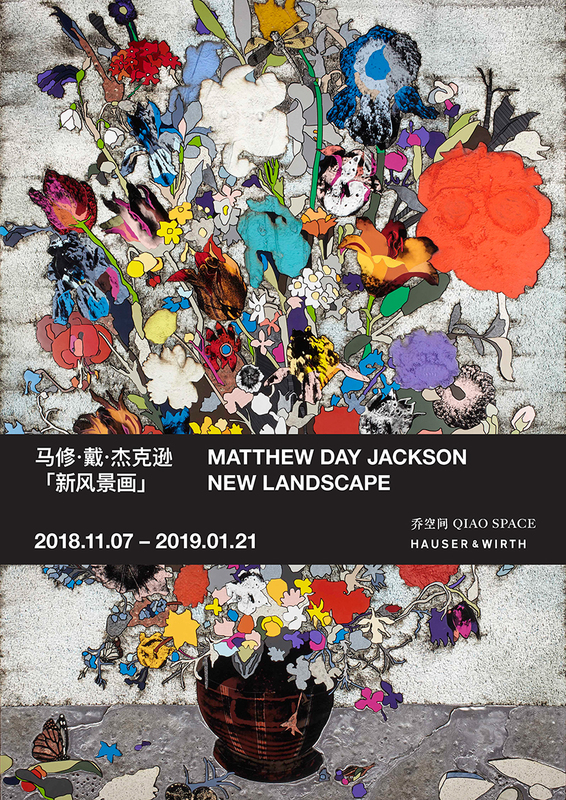 Qiao Space and Hauser & Wirth are pleased to present ‘New Landscape,’ an exhibition by American artist Matthew Day Jackson. This exhibition marks the artist’s first solo presentation in China. On view through 21 January 2019, the exhibition spans the breadth of Jackson’s interdisciplinary oeuvre with eleven works that highlight an interest in the history of landscapes: from the mythical to the historical, from the newly discovered to the bustling cityscape. 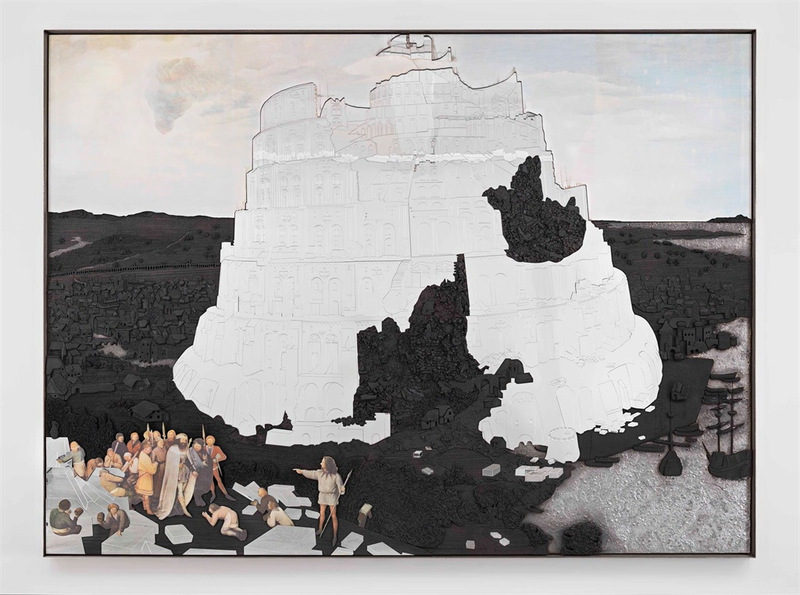 Jackson raises political, ethical, and social questions about both the past and present. He examines the competing notions of growth and destruction through the depiction of recognizable landscapes, including the city of Babel, from the Old Testament of the Bible; Disneyland; the surface of the moon; Yosemite National Park in California; and Beihai Park in Beijing. Process and substance further convey meaning in Jackson’s works. The flower ‘paintings’ are made using only artificial and manufactured materials such as plywood, epoxy, and Formica – a material meant to imitate the look of stone or wood and is utilized as kitchen countertops in many American homes. Jackson contrasts the floral representations by pouring lead, a known poisonous and toxic substance, around the centerpiece. Furthermore, he silkscreens photographic images of atomic bomb clouds onto the Formica, demonstrating his visual fascination with the nuclear era which appears in much of Jackson’s imagery. 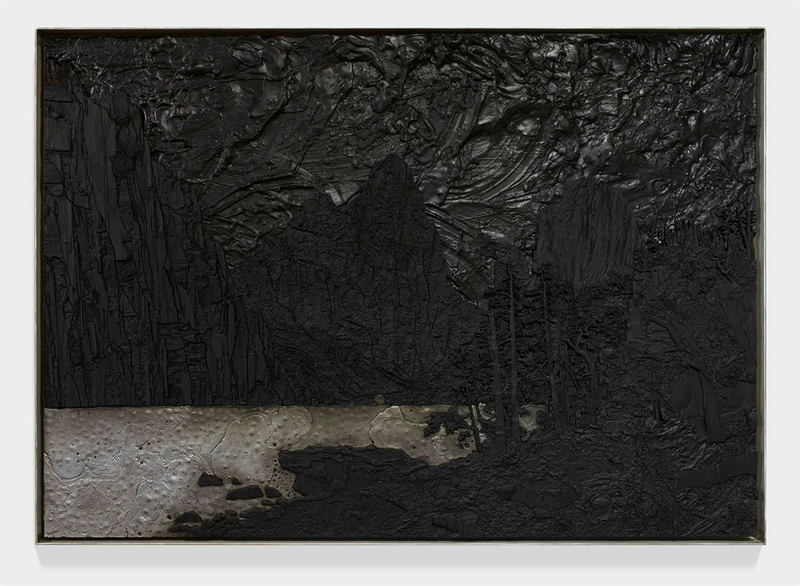 This symbolism is most prevalent in Jackson’s ‘August 6, 1945’ series of paintings composed of scorched wood and molten lead, depicting aerial views of various cities and public spaces around the world. The works imagine soot from the atomic bombs coating the entire world, and these sculptural representations extend beyond the frame to confront the viewer, forcing them to recognize possible destruction, not only in Hiroshima and Nagasaki, but in cities around the world such as Dresden, Tokyo, Baghdad, and Washington D.C.